What exactly is a ketogenic diet?? Well in my mind ANY diet that keeps you in ketosis is ketogenic! Maybe we should be asking a different question… How about what makes up a well formulated, ketogenic diet? One that meets our weight loss goals? Well that is going to vary some from person to person. As each of us have somewhat unique body compositions. Yes how much muscle and fat we have makes a difference to how we formulate our ketogenic diets. For instance, if we have 40% body fat we are not going to eat 80% fat on our plates! What! Wait! I can hear you screaming… isn’t a ketogenic diet high fat? Well when our body fat is high, we generally want to lose the body fat! Right, well as we lose the body fat, our bodies get energy from it just as if we were eating it on our plates… So when we have high body fat we eat less fat.. It is all about understanding TDEE or Total Daily Energy Expenditure and how that does not equal total calories eaten in weight loss if we wish to lose body fat! Ok so maybe that makes some sense, what about how much muscle you have HOW does that make a difference? Well our protein needs are based off of our Lean Body Mass(LBM). Now LBM is a lot more then just muscle. LBM also includes things like bone and organs. Wait! I know, you are thinking but if I eat too much protein doesn’t it turn to sugar and if not burned get stored as fat?? I know my Blood Glucose meter jumps after I eat protein… I want you to take into consideration the main points below about a well formulated ketogenic diet, and about protein. Read the sources at the end! In the end it is your choice how you are going to formulate your diet! But make sure that you are taking into consideration all the relevant points and sources of information (good relevant scientific studies) and make sure that any information that you pay attention to is in the right context. Ask yourself what did the study participants eat, how much did they eat.. what grams of fat carbs and protein did they eat, how long was the study, who put on the study..
—> There is this crazy notion that excess protein gets stored as fat.. While the metabolic pathways to convert amino acids to fatty acids do in fact exist, the reality of the matter is that under almost no circumstance will this ever happen. –> If you eat to dysfunction, you only support that dysfunction(finding protein by a ketone or glucose meter reading). If insulin is spiking after protein intake its *not* the protein it is your liver dumping glucose when it should not. This means that the liver is some degree of IR(insulin resistant). Guess what the liver needs to heal? That’s right protein! –> the metabolic switch to ketosis happens because you restrict carbs or calories or both… ketosis *is not* caused by eating fat!! There have been a lot of people asking for more details on my meal plan. I am going to briefly touch on the main key points here, as I have something coming along that will go into much greater detail! First I’ll talk about my particulars… I am somewhere between 18-22% body fat therefore I need to eat more fat to meet my energy needs and not take too big of a deficit. This is where calorie cycling comes in. There are a couple different ways to cycle. You could eat at say a straight 20% deficit for three weeks then on the fourth week eat at maintenance; this is a simple straight forward approach. I choose to use a three tier approach and cycle with my training. Cycling a low, medium and high calorie day paired with the intensity of my training. Low being rest days and high being my most intense workout. I also incorporate circadian weighted meal timing. This optimizes meal timing and content of meals to coincide with our bodies’ natural rhythms which are regulated by day night cycles. There are three aspects to this. First is the general idea to eat when you are active, therefore during daylight hours and to have all your meals in before night fall. Second that body has different times when fat and muscle tissue is more or less insulin sensitive and this affects when we should be eating the carbohydrates contained in our diets. And thirdly, Breakfast should be the biggest meal and less for lunch and less for dinner, and partially over laps with the second point above. I also implement a TKD (targeted keto diet) protocol. This is a method for consuming some quick absorbing carbs right before training to help fill muscle glycogen to support great effort. Lastly I also aim to maximize MPS (muscle protein synthesis) so no snacking, all food is eaten with a meal, and these meals are spaced to allow the body to refill ATP and for plasma levels of leucine to fall back to baseline, and set up for the next time MPS is triggered. Also enough leucine is eaten at each meal to trigger MPS in the first place. I really concentrate on getting enough leucine and therefore about 2/3 of my protein for the day comes from cheese like swiss, parmesan and cheddar. I find that as long as I keep the cheese to meals, and DO NOT snack on it, it does not negatively affect me at all! And since I have always loved cheese it makes my meals very enjoyable. The meats I generally eat are things like chicken breast, sirloin or ny strip steak, salmon, eggs (whole and whites) and ground beef of varying fat contents to meet my macros. I actually eat salmon every night for meal 3; this optimizes omega fatty acids as well. I include some veggies in my first two meals; such as broccoli, asparagus, spinach and green beans. This is really the nuts and bolts of my meal plan. As you can see I aim to optimize a lot of different areas, and I feel that it is really paying off! I am eating 1650-2200 calories and losing 1-2 lbs a week. I am very close to goal, and generally losses like these are not realized with so little weight left to lose. I lift intensely in the gym and do very little cardio. Please stay tuned I have some exciting things coming up in the near future! Hoping you all success in your weight loss / muscle gain efforts! Here are is some further reading on circadian rhythms. further research led me to LCHF and so I transitioned out of the medifast meals into real whole foods but LCHF(low carb high fat)… I did a lot of my own reading and learning here. Got a blood/ketone meter and went about testing levels. I could not seem to get BG below 100 and generally was around 115-120. Ketones were high over 2.0 most days. I was confused by this because a lot of what I was reading was that you needed to keep BG low in order to get ketones that high. So I reached out to Jimmy Moore in order to see if he could offer any guidance, and what I got was a product referral. So I purchased some Glycosolve and as long as I was taking it, it kept my BG around 70-80. But if I stopped taking it, BG went right back up. The supplement was on the spendy side so I eventually quit taking it when the bottle ran out. My ketones were high so I stopped worrying about BG. However during this whole 3months I didn’t lose any weight at all. So I started paying attention to someone I had run into on the old LCHF facebook group Raymund Edwards, and started to raise protein and lower fats. And started losing again. so I dropped 4 pant sizes. My focus really changed from the fat part of ketosis to getting in a healthy amount of protein to support metabolism and gaining optimal health. It was during this time that I learned from Ray about physiological insulin resistance. Which when you are low carb your muscles get insulin resistant in order to save glucose for the brain, and your muscles use fat and ketones for energy. Also learned that it is the flux (or up and down) that is more important than the actual BG number. So in other words if your blood sugar is stable with little movement up and down then it is fine, then someone who gets lows and highs. At some point about a month after upping protein and lowering fat I decided to go back and test blood glucose.. It was in the 80’s!! So all those months of high fat did not drop my blood sugars, but a month of higher protein and lower fats did in fact lower my BG!! It was during this time that I had become interested in lifting weights. I made my son drag my step-daughters weight set out from the barn into the basement. I played around aimlessly with them for about a month. Then I was lucky to bump into the other person who has made the biggest difference in my weight loss and health goals,Brian and his group It Starts in the Kitchen & Ends in the Kitchen! 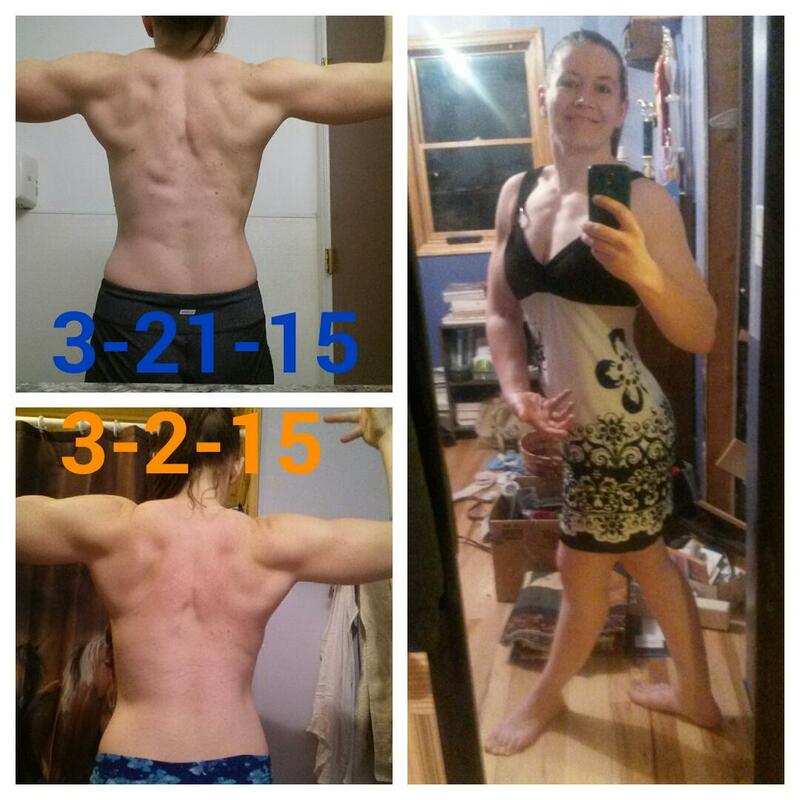 He got me set up with an organized lifting plan, which I am still using and going very well – now 3 months in, and we chatted about diets and macros and shared some info back and forth! Macros changed a little bit added some carbs like rice and sweet potato,stopped Intermittent Fasting, started eating more often and just more. 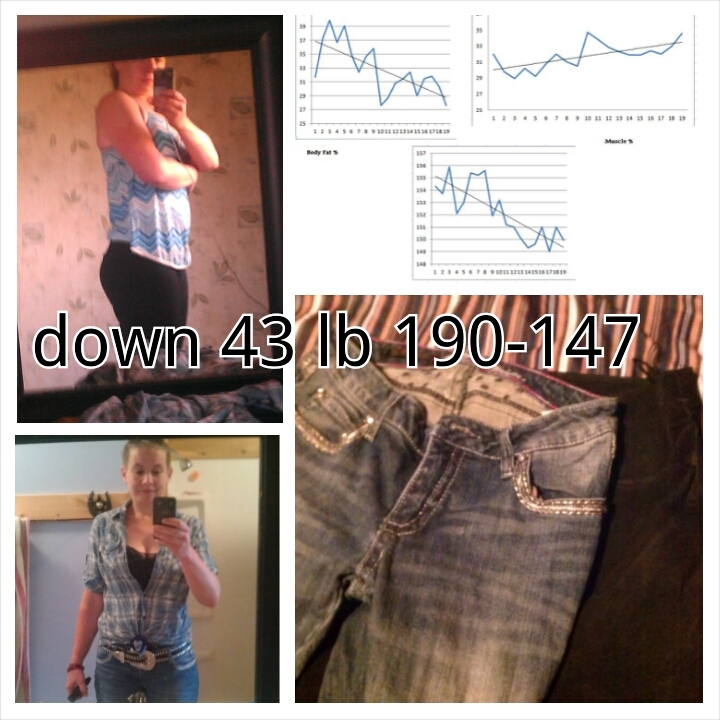 I actually gained about 7lbs up to 150lbs but went down to a size 2 pants and small tops! I have completely fallen in love with lifting and anyone that knows me well shouldn’t be surprised as I have always been very much a “Tom Boy” never shying away from doing daring “boy” things! Never ever got into dolls or dresses LOL! 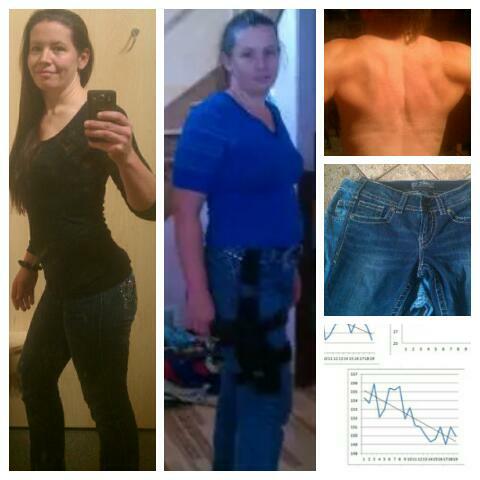 Still prefer jeans, but getting harder to find one that fit right with growing legs, and shrinking waist! Anyway after a year of self study and reading everything that Ray provided I have a very good understand of the metabolic state of ketosis. And now I am in unfamiliar territory with adding some carbs back in and it has kinda been a struggle not only to make sure I am not losing ground with all the progress I made over the last year cutting them out, but to actually eat more calories. After “cutting” for a year and being in a calorie deficit the whole time it has been a real mental rework to change that. Kind of feeling lost and have again taken to learning what I can, however there is so much information out there sometimes its hard to know what is the best information. So my goals have changed. I abandoned my goal weight of 130lbs, as I don’t think I will see it. And that is fine; I have changed to a body fat % goal instead. And also I set a goal of competing in 2016. Right now I am set on just increasing lbm and training hard. Come about march I would like to go back to actively trying to shed the last of the fat and getting down to around 15% BF this summer, and then see where I am at and go from there. Now I feel great about me! Way more confidant, wonderful about how I look and have never felt better. Looking forward to what the future holds! 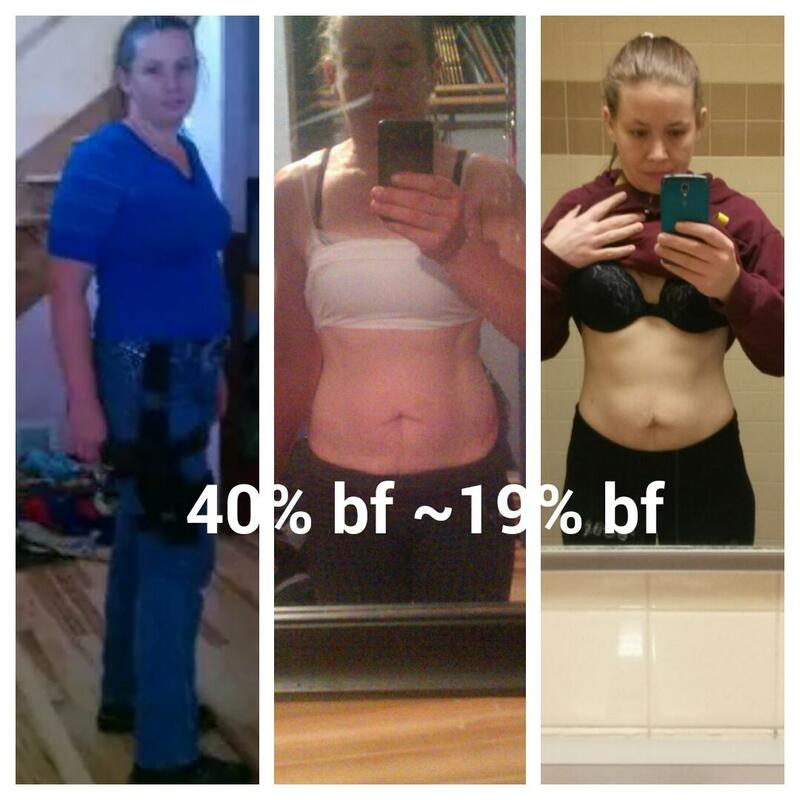 As i started increasing carbs i saw an instant improvement in failure/strength/recovery. Kept leaning out first few months, then water weight started going all wonky. At one point I looked pregnant, and i was reduced to tears a few times! I had a weight gain of 23lbs over 4-5 months up to 166lbs and went up a pants size. Cravings toward the end were horrible and i had a hard time going longer then 3 hrs between meals. At one point I stopped tracking all together because i was discouraged. Several times i tried to lower carbs and id drop some water weight but then my lifts suffered. I was miserable. I was counting the days until my planned cut & dreading it at the same time. Wanted to drop weight but didn’t want to feel like crap! Then I thought WTH, and tried TKD(targeted keto diet). Im not going to lie, the first week was rough. Strength stayed solid but i was so SORE! Sore like I was when i first started. Also at this time I switched to 3 meals 5 hrs apart. It was a real struggle, some days I was chewing a pack of gum a day to keep from snacking between meals. Now starting 4th week (time is just flying by) of TKD and im LOVING it! Im back in a groove again! Recovery feels normal making strength gains in the gym! Now it is effortless to 5hrs between meals (no gum needed) and 14hr+ over night fast. Im feeling optimistic again that I can indeed drop the fat i want & get to 15% body fat without feeling miserable. Also in the last 3 weeks I have increased kcal from approx. 1700-2100/2200 kcal. I am ready to start cycling kcal and am excited for the next few months & the changes that will come. Down 12lbs to 154! I’m truly honored every time someone says I motivate or inspire them! I have done a LOT of self study over the last year & a half. There have been some key people who have made a tremendous difference to mt journey …. Raymund Edwards & Optimal Ketogenic Living (importance of protein & a greater understanding of keto & nutrition in general) & Brian Walker (training and some diet). And now I find I need to add another to my thankful for list. Knowingly or Unknowingly Luis Villasenor you & KetoGains has had a tremendous impact on thus latest leg of my journey! Thank you! These three have been a big help in my success! Thanks to everyone who read all the way, I know its a long post! Every struggle has led to a greater degree of success! If something isn’t working don’t be afraid to change things. Now after almost 7 months of weight training, I’m back to eating at a deficit to lose the last of the body fat & get down to 15%. I am employing several levels of optimization to my meal plan and its going well! I am down to 148, that is 5 lbs away from my lowest weight before lifting at 143. I’m excited that i just may break into the 130’s after all. Everything is so exciting right now!